Price listed is for two glass stones. 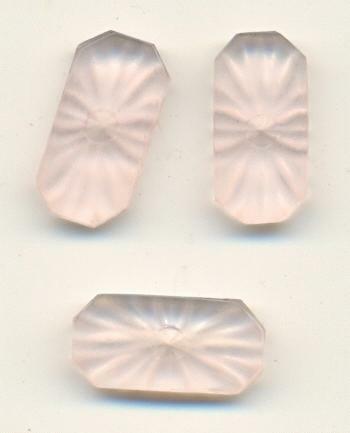 These are approximately 14mm by 7mm transparent frosted rose octagon shaped stones. They are reversed carved with a starburst design. There is a tiny recess in the center for about a 17pp (2.3-2.4mm) round point back rhinestone. They are flat on both sides.